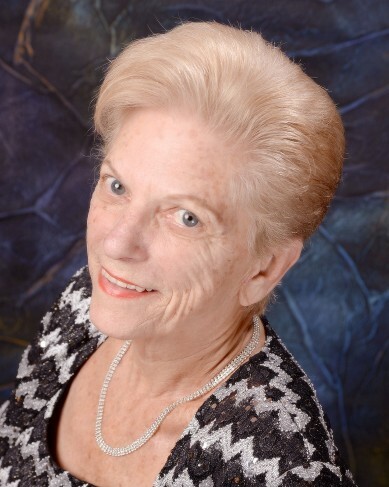 On Saturday, March 23, 2019, Barbara Gibson Powell, loving mother of two children, passed away at age 79. Barbara was born November 3, 1939, the oldest of seven children, to Thomas Newton Gibson and Ella Marely Gibson, and raised on a tobacco farm in Huntingtown, MD. After excelling in business school at Strayer College in Washington, D.C., she pursued a fulfilling 30 year career with the Department of Defense and Consumer Product Safety Commission, culminating in her selection as the Confidential Assistant to the Presidential Appointee of the Merit System Protection Board. Barbara had two daughters, Kim and Lisa, and married Stephen Powell on August 19, 1972. Barbara was a champion country western dancer, winning national trophies in the East Coast Swing, Double Two Step, Waltz, Cha Cha and Triple Two Step, and a teacher and dance partner to many. Most recently, she became a member of the Fraternal Order of Eagles where she enjoyed music with friends every Tuesday night. Barbara was a creative person who worked the regional craft-circuit scene selling her quillows and hand-beaded jewelry where her wares were widely favored. She had a love for all animals, and was mother to many beloved dogs over the years often dropping supplies off at the local animal shelter. She enjoyed the occasional slot machine and, being the competitive person she was, a good night out at bingo, or even just playing (and winning!) games with her grandsons. Barbara loved to travel and sharing memories of those experiences with family and friends. Barbara unconditionally loved, and was loved by, her family. She had a keen wit, an infectious laugh, a joyous sense of humor, and loved to have her grandchildren “roast her” by telling exaggerated stories. One of her favorite things was “date night” with her grandsons at Ruby Tuesday’s. A long-time athlete herself, she never missed her grandchildren’s sporting events. Barbara was preceded in death by her mother and father as well as her brothers, Jamie and Tommy. She is survived by her daughters, Kim Smith (Rick), Lisa Jones (Tim); siblings, Tish Lucas, Brenda Hance, Debra Burrell, Sammy Gibson; and six grandchildren Ian Funk (Curt and Steve), Justin Jones, Sean Jones (Emily), Jamie Jones (Jessica), Austin Smith, Ryan Smith (Morgan); and two great granddaughters, Ophelia and Sophia. In lieu of flowers, the family requests that donations be made to Stafford County Animal Shelter or the SPCA.